Offered with a V6 or V8 engine. 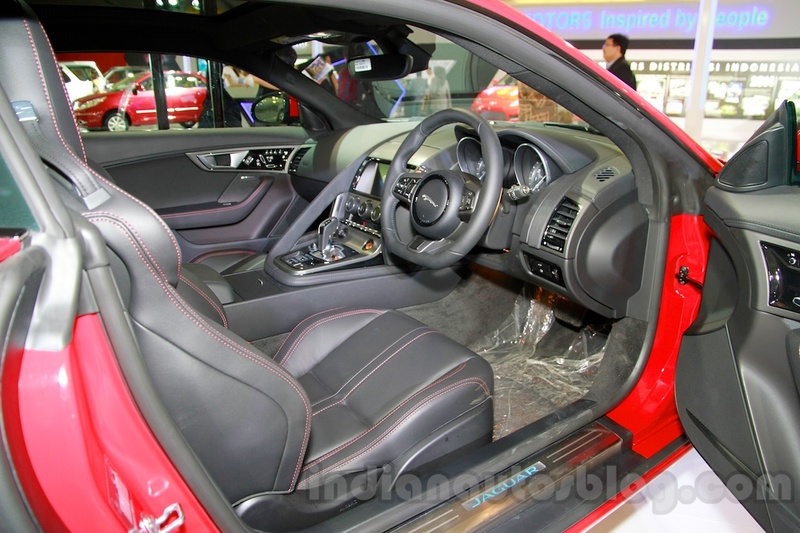 The Indonesian premiere of the new Jaguar F-Type Coupe took place at the 2014 Indonesia International Motor Show (IIMS 2014). 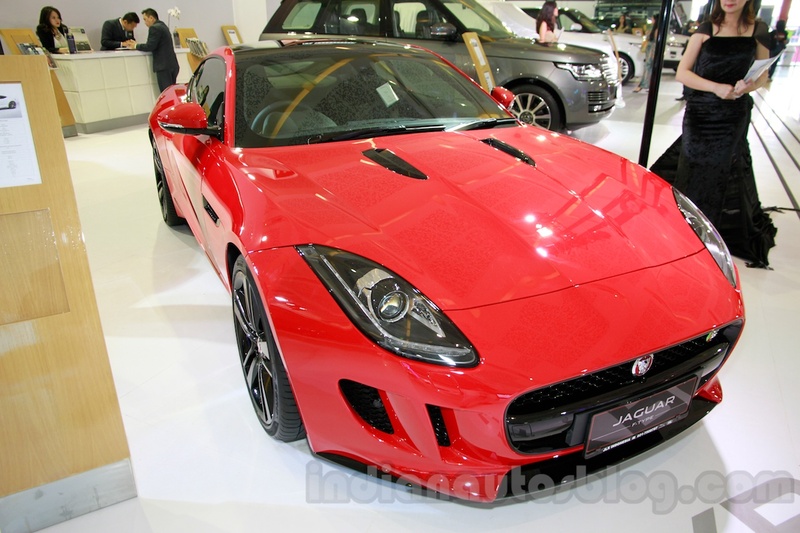 While Jaguar will sell all three variants of the F-Type in Indonesia (Coupe, Coupe S and Coupe R), only the Coupe S was displayed at the show. 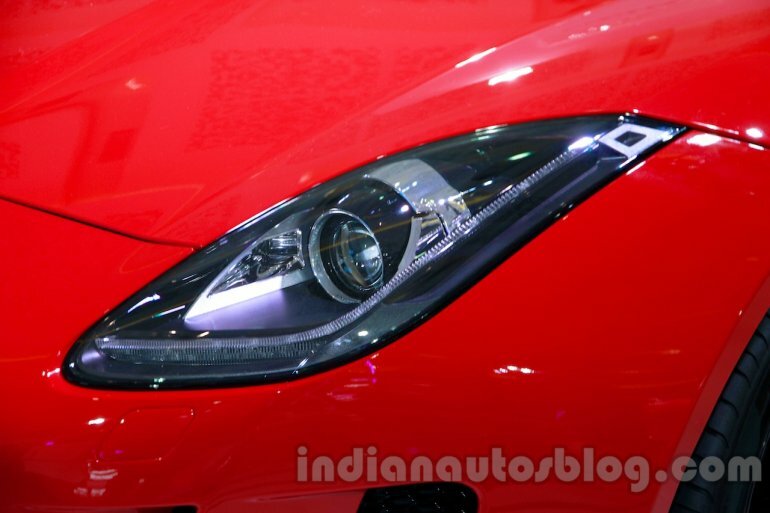 The F-Type S is powered by a 3.0-liter V6 engine. Based on the F-Type Convertible, the Coupe S uses the same 3.0-liter V6 supercharged engine to produce 380 PS (374.6 bhp) at 6,500 rpm and 460 Nm of torque between 3,500 - 5,000 rpm. An 8-speed automatic transmission sends this power to the rear wheels, and enables the sportscar to accelerate from 0-100 km/h in 4.9 seconds and achieve a top-speed of 275 km/h. The more powerful F-Type R Coupe uses the 5.0-liter supercharged V8 engine to make 550 PS (542.2 bhp) at 6,500 rpm and 680 Nm of torque at 3,500 rpm. The R Coupe accelerates from 0-100 km/h in 4.2 seconds and achieves a top-speed of 300 km/h. 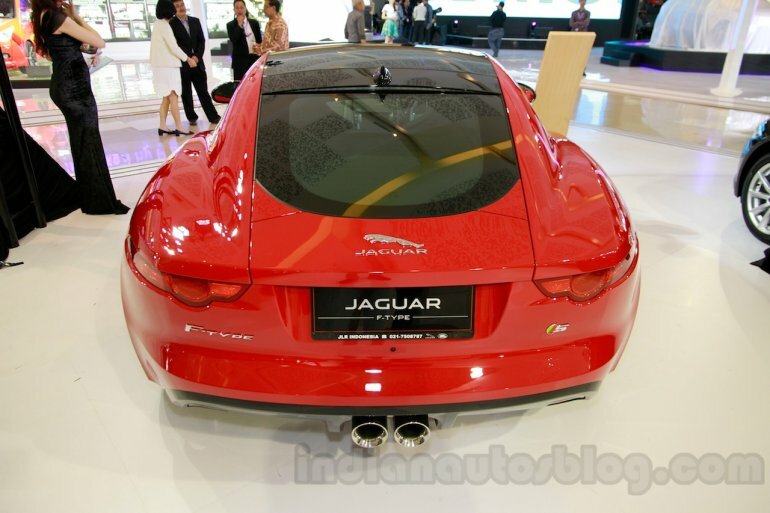 The V6 variants of the F-Type can be identified from the V8 by their exhaust layout: Where the V6 variants get a centrally placed dual exhaust system, the V8 gets a quad-exhaust system. The V6 S variant of the car measures 4,470 mm in length, 1,923 mm in width, 1,309 mm in height and 2,622 mm in wheelbase. It weighs 1,594 kg.